For testing power consumption, we took our test system and plugged it into a Kill-A-Watt power meter. For idle numbers, we allowed the system to idle on the desktop for 15 minutes and took the reading. For load numbers we measured the peak wattage used by the system while four game titles at 1920×1080 by averaging the peak results recorded the highest Wattage seen on the meter for the gaming results. Power Consumption Results: All of the current generation cards idle fairly close to the same as our system pulled between 96-101 Watts at the wall with any of the cards when at idle. 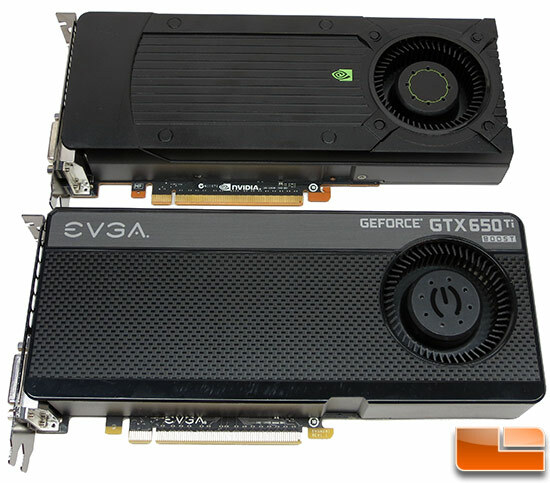 In gaming we start to see the cards true colors and that the NVIDIA GeForce GTX 650 Ti BOOST cards do use more power in the games than the AMD Radeon HD 7790 cards. So, one of the downsides to the NVIDIA GeForce GTX 650 Ti is that is is a little less energy efficient when gaming and at idle all the cards are very similar. 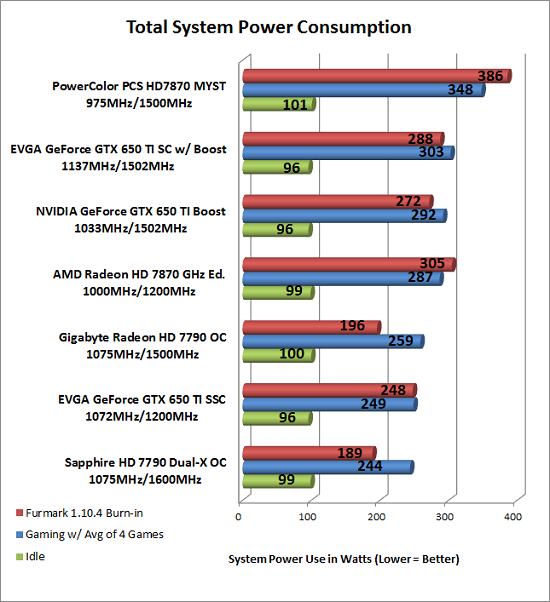 While ~44 Watts more power is a fair bit more power, does the gaming performance of the card make up for it?